Part-smoosh, part-French heritage choice, and a little bit Jane Austen, too, there’s much to love about this overlooked name. Thanks to Havoye for suggesting Marianne as our Baby Name of the Day. It’s a no-brainer to say that Marianne comes from Mary, but it isn’t quite the path you might expect. Marian, Marion, and even Mariun evolved as diminutive forms of Mary and Marie. There’s Mariot, too, one that might be quite attractive, if not for the surname/hotel empire known as Marriott – also derived from the same source. In medieval France, Marion was a shepherdess in popular stories, dating back to the thirteenth century. She’s present in England, too, following the Norman invasion. A few centuries later, Marion meets up with the legend of Robin Hood and the two are put together by matchmaking storytellers. You know the rest. Marianne surfaces throughout Europe, amongst the Swedish royal family, and in Dutch and German, too, though her pronunciation varies. Marianne also evolved as a Mary + Anne combination, though I can’t pinpoint the first use of the name in English. I’m pretty confident we borrowed her from the French as recently as the 1800s. Today, I think most native English-speaking Americans would view Marion and Marianne as different names. The name charted in the US Top 1000 every year from 1906 through 1992, and was at her most popular in 1940s and 1950s, when she regularly appeared in the Top 200. Her streak might have been fueled by a 1929 film called Marianne about a French girl in love with an American soldier during the Great War. After all, Marianne is the quintessential French name for a young woman. She’s a symbol of the nation, the personification of liberty with a heavy helping of goddess. Marianne has been depicted on stamps and coins, as a statue in official buildings, and in countless works of art. 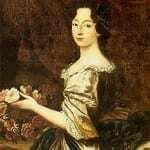 Her origins are murky, but she’s appeared in various forms since the eighteenth century. If Marianne’s origins are uncertain, it is equally unclear how she got her name. The simplest explanation is that Marianne was a common feminine name in the 1700s and it stuck. Other theories ties Marianne to a politician’s wife or a political thinker. The first Marianne that springs to mind for some is probably one of the Dashwood daughters, from Jane Austen’s Sense and Sensibility. Elinor is the eldest, the sensible sister. Marianne is her opposite, the second daughter, emotional and impetuous. Kate Winslet memorably played Marianne in the 1995 film adaptation. For others, the name is deeply religious. Besides the importance of the Virgin Mary, tradition tells us that her mother’s name was Anne, making Marianne a smoosh of saintly maternal figures. 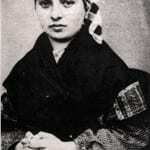 There’s also a Saint Marianne, known for the years she spent caring for lepers in Hawaii. But Marianne isn’t exclusively a good girl name, and nothing lends her more of an edge than Marianne Faithfull. Her career was nearly derailed by addiction, but Faithfull influenced the Rolling Stones – she dated Mick in the 1960s – and scored punk rock hits in the 1970s. There are even more musical associations – Boston, Leonard Cohen, and Frankie Valli and the Four Seasons have all sung about various Mariannes over the years. Just over 100 girls received the name in 2011. All of this makes Marianne a great possibility for parents seeking a stalwart classic, one that’s quite on trend. Less common than Elizabeth or even Genevieve, Marianne has much to recommend her. Of the spelling options I prefer the lovely Marianne. You’re right, my first thought is of the Dashwood sister. My second is of the White Rabbit shrilly yelling, “Mary Ann!” in Disney’s Alice in Wonderland; a less positive association, but not terrible. I’ve known one Marian, and, being of Dutch descent but brought up in Australia, her name is pronounced like Marianne (the English pronunciation, not the Dutch). Thank you for a most flattering profile of my daughter’s name, Abby! We really struggled with choosing a name for her but are happy with the final choice, although no nicknames have yet emerged and I’m kind of hoping that one does eventually. I recently met a little girl named Marianne who goes by Nana which is kind of cute. Nanette maybe? Mimi? Rianne? I guess we’ll see what happens. I know a Marianne! We went to both grammar school & high school together. Her Mom & my Mom were friends. *sigh* We’ve been friends for nearly 40 years and I’ve only got 1girlfriend I’ve known longer (Cecilia). Marianne feels lusher than Mary Anne to me. *shrug* can’t explain it,just is. Marianne’s pretty, sweet & dainty, but not too dainty. I would love to meet a few! I tried hard to get the husband to consider Marianne for our daughter. He thought it was too mid-century. My mind goes directly to Marianne Dashwood, one of my favorite characters. Our daughter ended up an Annabel, which suits her completely. I would still love to have a Marianne, but that’s probably out of the question having already used Annabel. in Portugal, the name Mariana is uber popular. I think I prefer it over Marianne, because I can only see Mary Ann, a very common combo. I love Marianne and it is probably my favorite Mary-type name. I often suggest it as a middle name for parents who don’t want anything frilly in the middle name spot and want to avoid a “filler” name. It has the same rhythm as Juliet which a lot of people (on baby name boards) seem to be considering lately. Marianne does make a great middle! One more vote for marianne as a middle name! We’re using it after freya, just feels better than a lot of the common middle names…It also nods towards mary and anne, which are pretty common names in our family tree..
Marianne is very pretty. The only drawback for me is that it makes me think of Mary Anne from the Babysitters Club, who was kind of a whiny wimp. (Sadly, that reference dates me). It’s a gorgeous name and I’d love to hear it more in use. My mother is Mary Ann, she was named after a type of spice cookie my grandfather liked. I’ve always preferred the Marianne spelling, but since the French Marianne is often depicted bare breasted… Marian was the version we briefly considered for Maria.